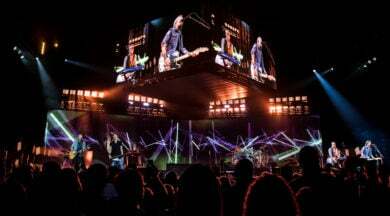 Lighting designer Benoit Richard, of Millennium Lighting Design, Inc, chose his first use of Ayrton MagicDot™-R fixtures for the video shoot of NBC’s spectacular NFL Sunday Night Football Open, employing 60 units in his design. 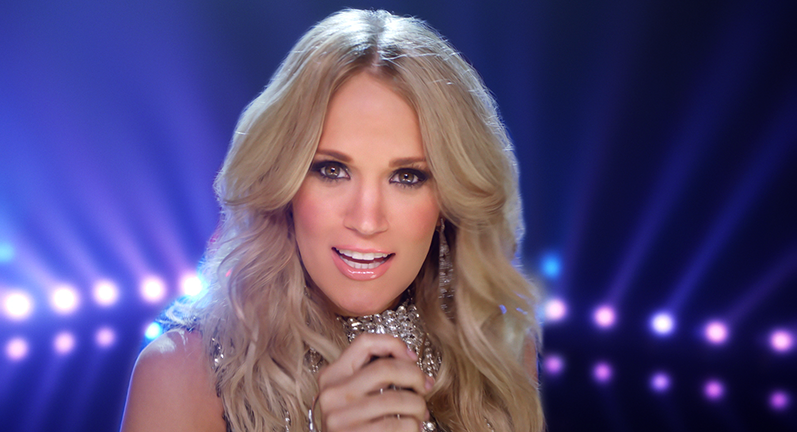 The iconic Sunday Night Football opening sequence is the official introduction to America’s prime time Sunday night programme and features Carrie Underwood for the third year running. 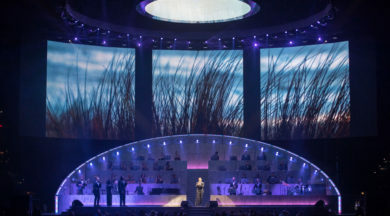 Filmed in June on Stage 23 at Warner Brothers, Burbank, the Open was first broadcast nationwide on 13 September 2015, with weekly updates tailored to feature each Sunday’s rival teams. 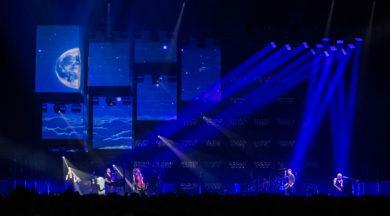 This year marked a style change – described as Nashville meets Hollywood – with the creation of a large virtual video backdrop and a new arrangement of the famous theme tune, Waiting All Day for Sunday Night, which Underwood performs in front of a live audience, amid real and projected appearances by top NFL players. 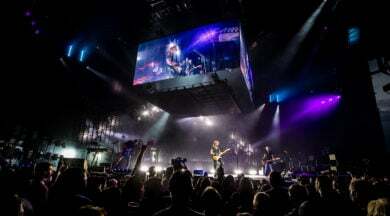 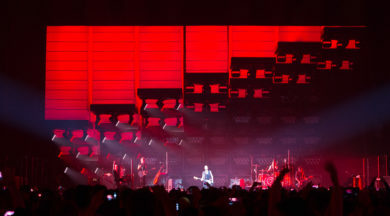 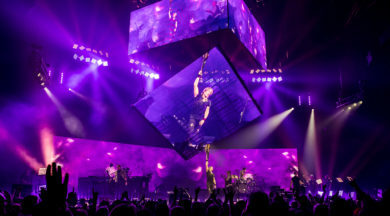 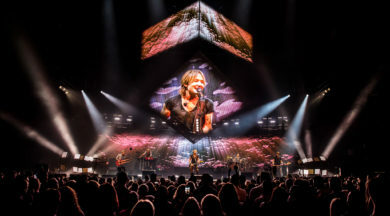 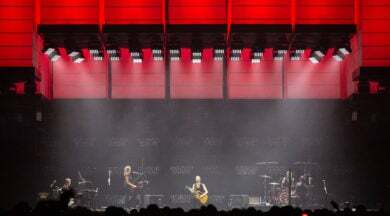 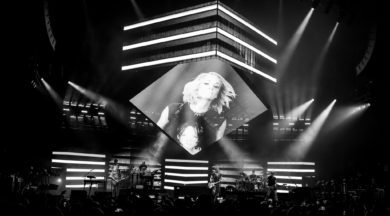 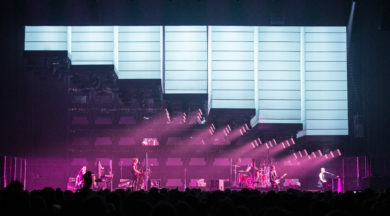 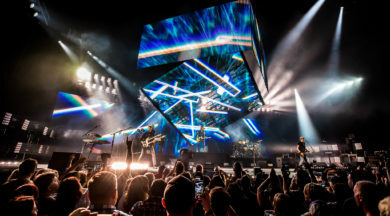 Underwood’s performance takes place on a high-gloss, diamond-shaped stage against a black backdrop, which became a gigantic video screen through the magic of visual effects. 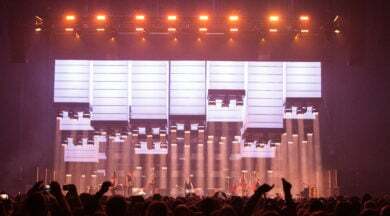 This angular layout presented significant challenges for the Lighting team. 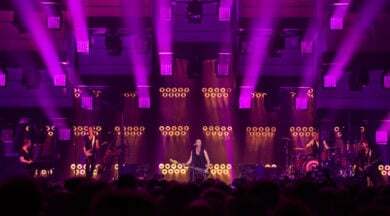 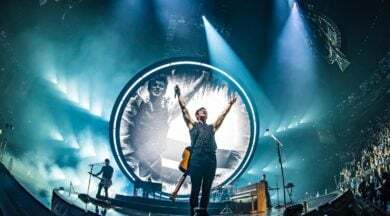 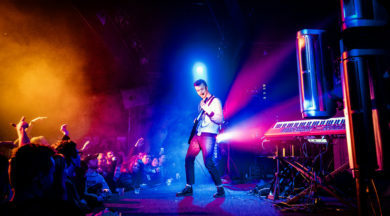 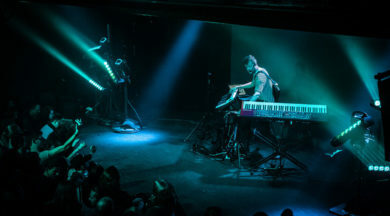 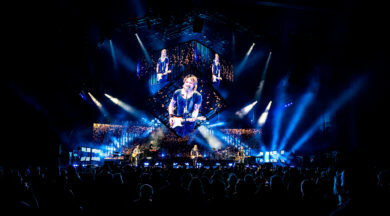 Director of photography, Chuck Ozeas, deferred the design of the concert lighting to Benoit Richard who was able to bring his rock and roll touring experience to bear on the theatrical lighting elements of the show. 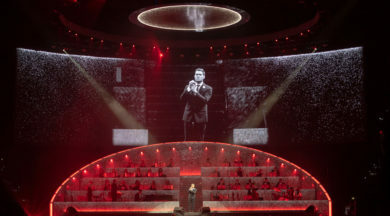 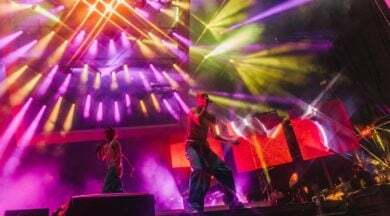 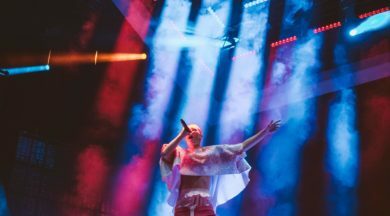 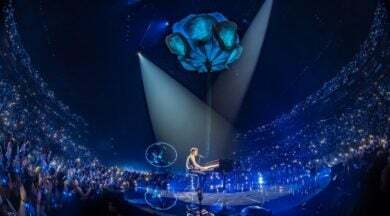 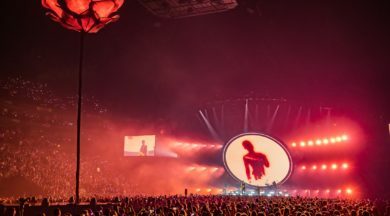 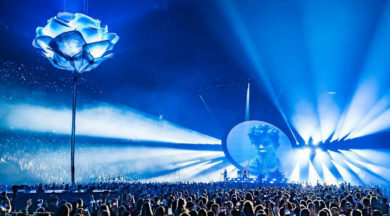 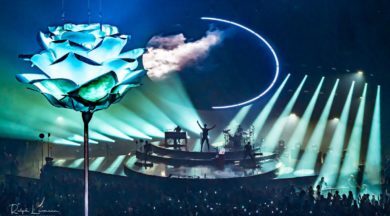 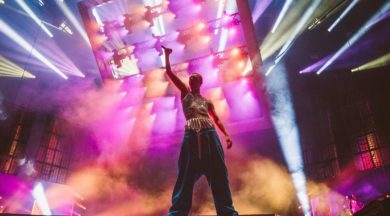 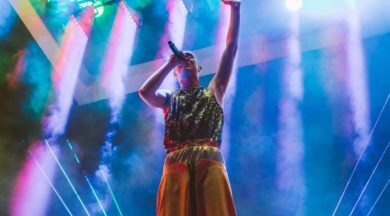 To make the performers stand out against the overwhelming virtual backdrop, Richard created a dynamic floor package which incorporated 60 Ayrton MagicDot™-R fixtures. 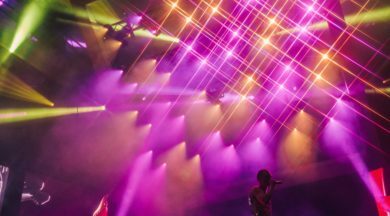 MagicDot-R is the first 60W RGBW professional LED moving head, and uses a single collimated 94mm diameter optic to produce an intense 4.5° beam. 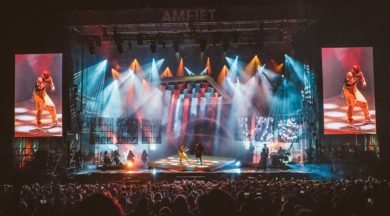 The Ayrton MagicDot-R fixtures were supplied for NFL’s SNF Open shoot by VER and are distributed in the US exclusively by Morpheus Lights.